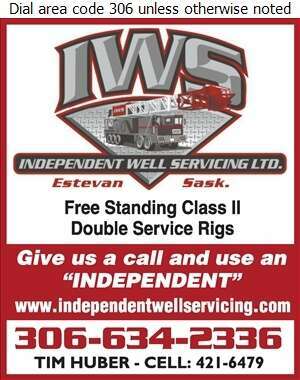 Headquartered in Estevan Sask, we provide outstanding service rigs to the oil and gas well industry. Our customers are located in the oil-rich Bakken find throughout Southeastern Saskatchewan and Southwestern Manitoba. It is IWS's business philosophy to manage our growth around our people at a firm and steady pace. This plan enables us to maintain high standards with the experience levels of our crews as well as maintaining high quality equipment. IWS will continue to grow at a manageable pace, and expand as market conditions dictate. 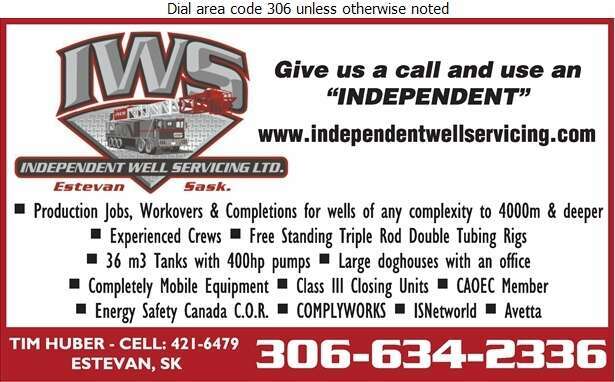 IWS is proud to provide highly experienced crews, superior equipment and unparalleled customer service with the latest innovations available. Double free standing service rigs, large rig tanks (35.7 m3), 400 hp 127mm x 127mm triplex pumps, cranes mounted on support units and roomy doghouses with office space. Other features include electronic sandline counters, electronic pressure gauges, tank gauges and stroke counters on the pumps.